The Financial Conduct Authority (FCA) is a financial regulatory body in the United Kingdom that operates independently from the UK Government, is a conduct regulator for over 58,000 financial service firms, markets in the UK, as well the Prudential Regulation Authorization. The FCA took responsibility for financial stability by bringing together a new regulatory structure and enhance its predecessor the Financial Services Authority (FSA) responsibilities, the agency that regulated financial service between 2001 and 2013. The authority received significant power to cover responsibility for regulation of the financial sector and firms, including CFD and Forex brokers, providing services to traders and investors. The objective of FCA is a maintenance of the financial market integrity in the United Kingdom and secure an appropriate degree of trader’s protection. FCA, as an independent public authority, regulate the conduct by both retail and wholesale financial services firms with a purpose defined by the Financial Service and Market Act 2000 (FSMA). FCA aims to make financial markets work well so that traders and investors get a fair deal, through its enhanced market integrity and promote competition. Why trade with an FCA regulated broker? In fact, any firm in the UK whether a business, asset manager, broker or financial investment firm the activity is mandated to be registered and regulated by the FCA. First of all, the FCA set a range of registration requirements before the broker is allowed to operate in the market, which includes raising of fees with a high initial capital to apply for the FCA license and carry out its regulated activities further. The license type based on factors such as a scale of activities and divided to STP license (check on STP Forex Brokers), which imposes EUR 125,000 initial capital and EUR 730,000 for Market Making license. In addition, upon application, the company will be checked for its adequacy to operate in the market, with a review of business plans, its budgets, resources, applied systems, and controls. The directors and key staff will be interviewed and obliged to have the necessary qualifications with an effective background, so the requirements are met and the director experienced enough to run the brokerage. In addition, the broker should maintain a physical office in the UK and organized to comply with the FCA rules and mandates at all times. FCA Brokers operate their business based on the FCA handbook guidelines to ensure clients are being treated fairly, the information provided accurately and most important, transparently. The protective measures that are important to the trader, in particular, issues brokers in demand to segregate the client’s funds from the broker’s operational fund. That means broker stores their operation fund at separated from the client bank account, thus cannot use clients money for any purpose or even touch it. Furthermore, FCA brokers provide negative balance protection to their traders, so clients cannot lose more than its initial deposited capital. Lastly, the maximum of protection level achieved by solve of an unlikely event when a broker goes bankrupt or fall under insolvency issues, the client and his funds are protected, by the Financial Services Compensation Scheme (FSCS) so the client receives funds back with an upper limit of GBP 50,000 per client. The regular supervision tasks of FCA ensures follow of strictest demands, while every authorized entity report, confirm and maintain on a daily and monthly basis, respectively, otherwise, the authority will get involved and will check the performance in detail. In the event broker didn’t follow FCA handbook guidelines, it may cause further investigation of a case, with imposing of fines, while powers have already been seen loads of their announcements, heavy fines or even dismisses of the broker’s license. See below an example of some of the largest financial penalty in the history of £284,432,000 for forex failings. 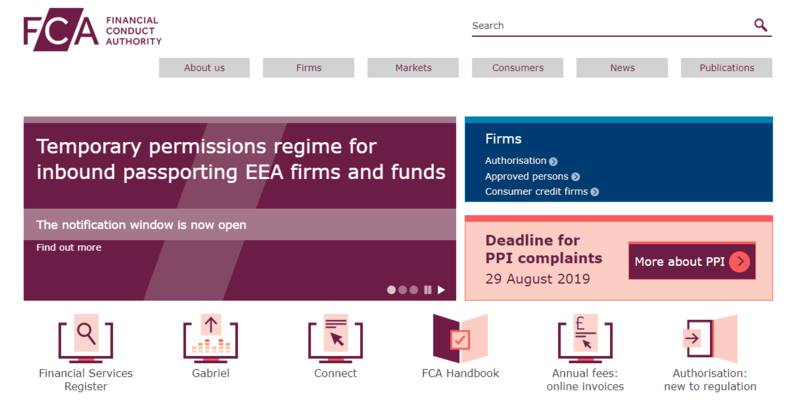 In addition, the FCA is able to ban financial product, firm or the particular asset manager, as well have the power to instruct firms to immediate action, modification or its revoke if necessary. With all the strict regulatory guidelines, if a trader or investor still believes they are encountering unfair trading experience with the broker, they can file a complaint against the broker with the relative department. Firstly, the regulated brokers in place must have a procedure to resolve disputes and respond within a set time, however, you can always go further and submit a complaint to the Financial Ombudsman Service, known as claim handlers. In addition, read our step by step guideline how to a complaint an FCA regulated forex or CFD broker. The benefits of trading with the FCA regulated Forex Brokers are at a glance, as the authority ensures strongly the broker’s responds, monitoring products, and other issues along with the compensation when necessary. Overall, the FCA made it in a scrupulous way by the sharp check on the firm, that the brokerage is computable to the successful prospective of operation, further market development and of course fair treatment of the traders. Therefore, FCA gained its highest consumers’ rankings, as the traders getting appropriate trading needs among market offering, unparalleled advice and knowledgeable behavior towards any occurred questions. Moreover, the education and permanent support at FCA allows to find out about customer rights and financial advice, offers to complain, report a scam or unauthorized firm. And provides a guideline on how to avoid scams, with the comprehensive Avoid listing up-to-date. The trader should carefully search for information about FCA forex broker license directly through an official site, which will appear on the Financial Services Register. 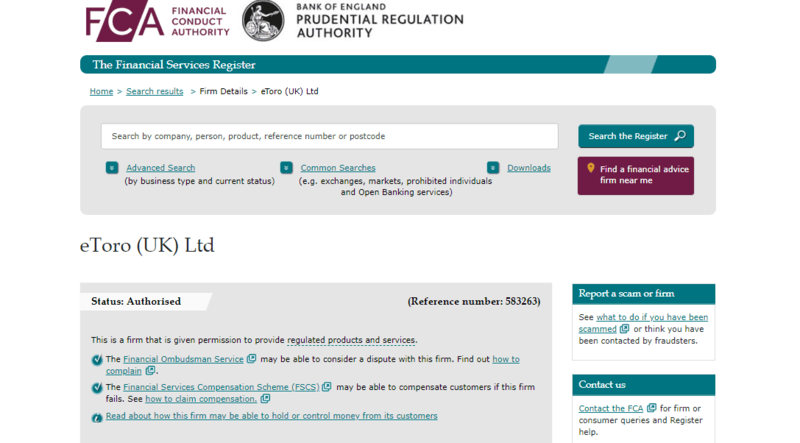 Moreover, the regulated broker website at most cases shows its FCA register number, yet confirm its statement at official source as well, due to numerous clone and fraud firms that use register number to pretend official. In addition, always check FCA Brokers Reviews, in the instance the full list of the UK regulated brokers’ list at our website currently includes over 80 FCA Regulated Brokers, and growing, while the total number of licensed ASIC Regulated Forex Brokers exceeds 340. The UK as one of the most respected and known financial centers that deliver strong economic figures throughout history, as well as stable political positions and influence on international markets, keeps the excellent level of a regulatory system. In fact, FCA is one of the most respected trading industry authorities that establish the highest protective tools and keeps market integrity through its strong influence and monitor of the situation. The FCA enhanced their responsibilities to the financial and traders sectors by transparent ways the agency determines policies and carries its supervision functions. Also, as the main message of FCA is to only cooperate with authorized firms, the authority supports vast of data on how to make the best practice and avoid frauds. Read more about how Forex Trading Scam work at our article by the link. Overall, some of the most reputable brokerages and regulated firms indeed regulated by FCA, while the status of FCA regulated Forex Broker the trader or investor can trade assured of a fair and effective deal and an accurate follow of obligations towards the clients’ protection with the legit regime itself.